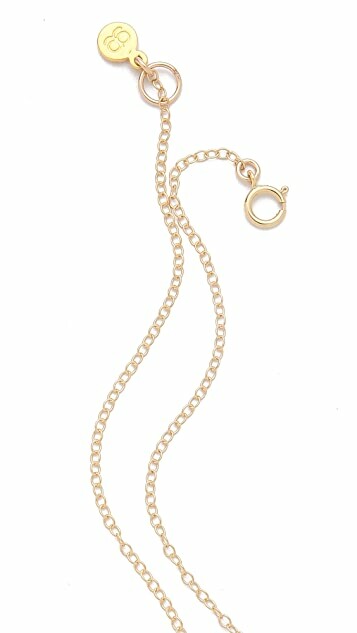 This 18k gold-plated chain necklace features a brushed bar pendant. Ring clasp. I received this necklace yesterday and I am obsessed with it! It is such a delicate necklace and it looks AMAZING on! I pair it with a simple gold chain and I've already been complemented on it. I am very happy with this necklace. 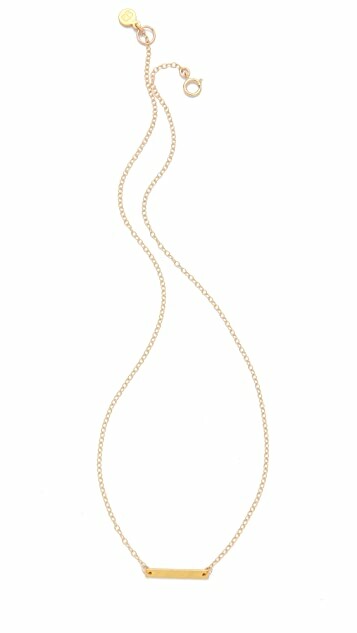 It's the perfect length, and it's so versatile - definitely a classic necklace. For some reason, I thought the plate was supposed to be hammered metal, but it's more of a scratched metal look, which is fine - very pretty. I wear it daily - whenever I look in the mirror, the plate isn't centered, but that happens with most necklaces. So cute and exactly what I wanted. The textured little "bar" looks better than I thought it would. small but very sweet, love it. I actually bought this from the gorjana website, but I recommend buying from shopbop because they have amazing customer service. This necklace is really small, but very elegant. You can wear it alone or layered. It is a great piece. Such a sweet, delicate necklace. I get compliments on it all the time! Perfect for layering or wearing alone if you want something more simple. I've been eyeing these for a while, so I had great expectations when they arrived. I was disappointed when I actually put them on. 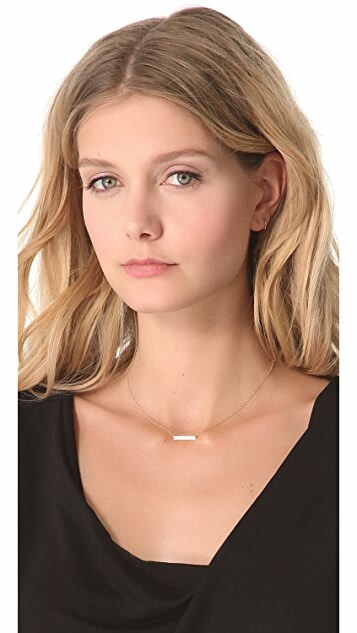 Sure it's a cute, simple necklace, but I didn't like the textured quality of the actual plate. They made them look cheap. I wish it was just a straight, smooth surface. The quality of the necklace isn't that great also. I would have to settle with these for now until I see a different version with better quality. This necklace is really very cute. It's the perfect size and statement. The problem is that it is gold plated and the gold on the bar begins to wear down exposing the metal underneath. I realize it's super cheap, but if you have the money, splurge on the real thing. Great to layer or by itself. I wear it all the time!